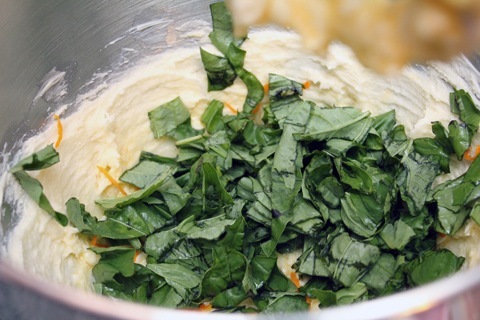 Sweet Basil Cookies and a DuPont Teflon Giveaway! I swear, this is not some kind of a vendetta against my little check-out friend at Stop and Shop. But he really, really would not like me right now. 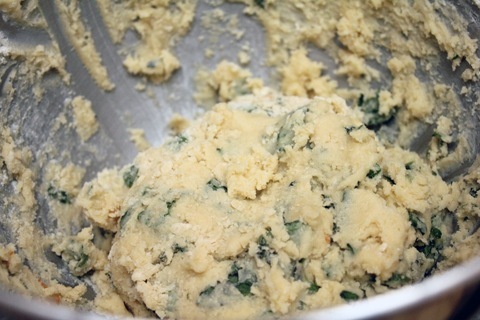 Not only am I eating lots and lots of basil leaves, but I’m putting those basil leaves in cookies. The horror! 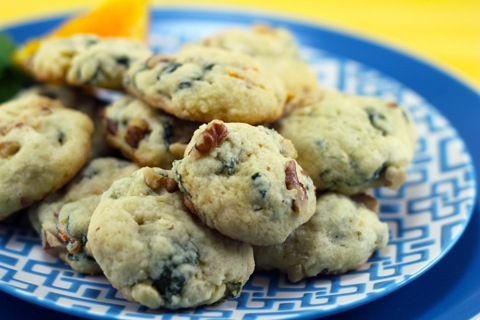 Seriously though, I’m not really sure why I hadn’t thought of basil cookies before. It took an email from the lovely folks over at DuPont Teflon to plant the idea in my head. They offered to send me a cookie sheet and loaf pan and provided me with a few recipes in case I wanted to try them. Not to generalize, but I’m not usually a fan of recipes from firms trying to promote products. But the second I saw the recipe for Sweet Basil Cookies, I knew that’s the very first thing I’d be making on my new cookie sheet. I’m also generally not a fan of non-stick cookware and would likely never purchase pots and pans with Teflon. But I was curious to try DuPont’s ProBake cookie pan out as my normal cookie-baking ritual consists of alternating between spraying the cookie sheet with oil (which rarely works well) or putting parchment paper down before baking (feels like a waste and is a pain to cut to fit pan). Let’s just say I was pretty excited to add a new cookie pan to my arsenal, especially considering I don’t usually have a method to why I buy the ones I do. But I was even more excited to see what a basil cookie was all about. 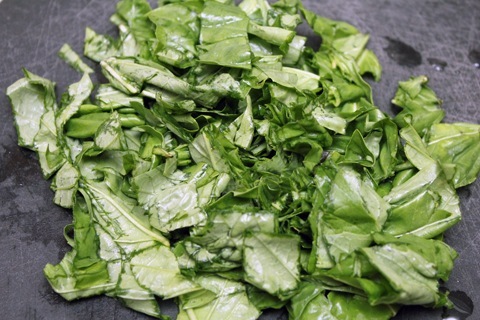 Now, the recipes simply called for basil leaves, but this worried me a bit, so I decided to chiffonade them up. My basil leaves were quite large and I wasn’t sure how that would work in a cookie. 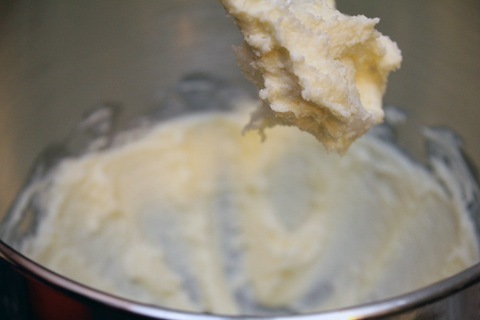 Start by creaming together the butter and 3/4 C sugar in a stand mixer set to medium speed, until light and fluffy. 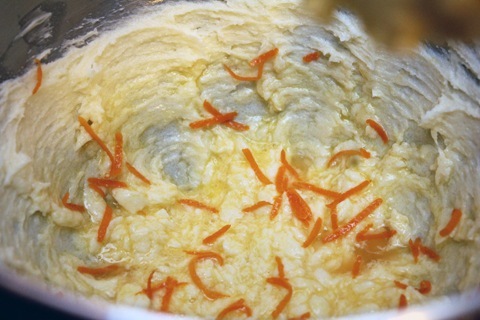 Add the egg, orange rind, and orange juice. And then toss in the basil leaves, too. Mix everything up. It totally looks like I’m making a savory biscuit or something, doesn’t it? But I promise you, these cookies are nice and sweet! 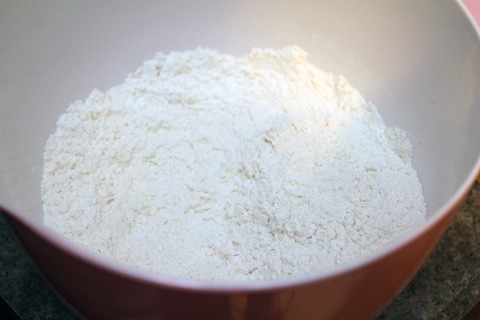 And slowly mix it into the wet ingredients, with the mixer set on low. At this point, you’ll want to cover the bowl with saran wrap and pop it in the fridge for about an hour. After an hour, set your oven to 350 degrees. 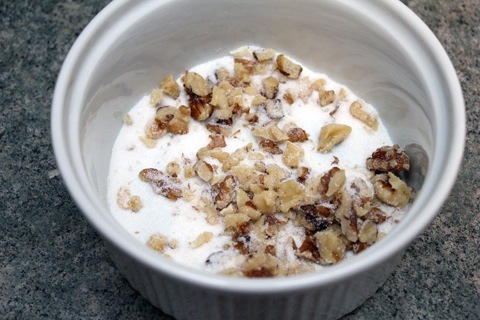 Mix together the remaining 3 T of sugar and your chopped walnuts. Roll dough into 1-inch balls. Roll dough ball in sugar/walnut mixture and then place on Teflon cookie sheet. Press down lightly to flatten a bit. Isn’t the close-up of the Teflon cookie sheet super pretty? I enjoyed the fact that I didn’t have to put down a sheet of parchment paper. Bake for 10-12 minutes, at 350 until cookies are starting to turn golden brown. I was pretty in love with how easily the cookies slid off my new DupPont Teflon pan. And though sometimes parchment paper is nice to use because it makes for very easy clean-up, this pan was actually super easy to clean since nothing gets stuck on. And you’re left with what should be known as the official cookie of summer. It’s a little bit citrusy and a whole lot basily. The basil really packs a punch, but in a completely awesome, “why didn’t I think of this before?” way. I absolutely loved that the cookies were soft, but firm and had so many complementary flavors going on. I’m honestly thinking about sneaking one to the boy at Stop and Shop and not telling him there’s basil in it, just to see how he reacts. There’s no way he wouldn’t love these cookies. But wait, something tells me he probably doesn’t like fruit in his cookies either… or walnuts. Maybe if I threw some chocolate chips in? OK, enough about that silly boy. What matters is you. You will love these cookies. Especially with a nice tall glass of iced tea or lemonade. Or gin. Something about these cookies tells me they’d go fabulously with gin. Don’t take my word for it though; try it yourself. 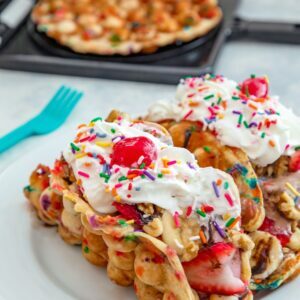 Not only should you make these cookies, but now you have the opportunity to make them on DuPont’s ProBake Teflon cookie pan! Want to win one of your own? Simply leave a comment on this post letting me know what the most unique cookies you’ve ever made (or enjoyed!) were. If you win, I’ll also be throwing in one of my favorite baking cookbooks, so you can get baking right away on your new pan! For extra entries, 1) Follow us on Twitter! and 2) Tweet about this giveaway. 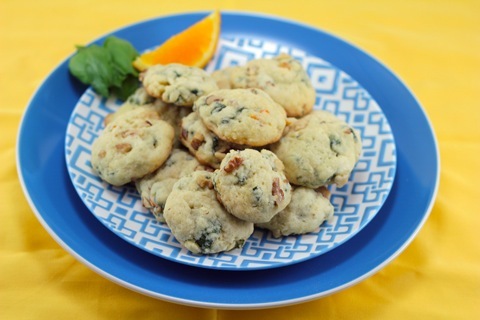 I’ll be picking a winner this weekend, so make sure to get your entries in by Friday June 1 at 11:59 p.m.
70 Responses to "Sweet Basil Cookies and a DuPont Teflon Giveaway!" They’re no longer crazy, but a bacon chocolate chip cookie was one of the most unusual (and delicious) ones I’ve had recently. 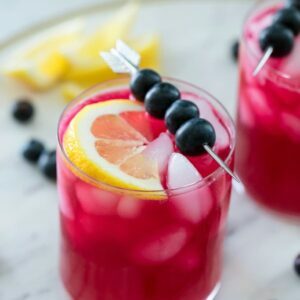 These look delicious, too! I recently tried making bacon bourbon cookies. Tasty! 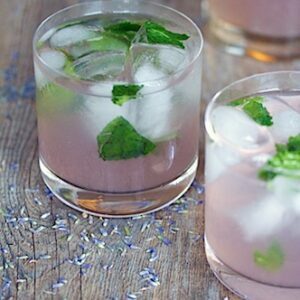 Cannot wait to test out these basil ones… yum! I guess they aren’t as original as I thought based on the other comments, but bacon cookies! Blue cheese and berry cookies! While I was in Italy I had little butter cookies (quite similar to these, actually) with strawberry’s, vanilla sugar, and basil! Great giveaway! My most interesting cookies were the soft, crumbly and sweet strawberry shortcake cookies I made last year! I am an innkeeper and love experimenting with unique cookie recipes. The most interesting cookies I have baked for my guests lately are Potato Chip Cookies. I add a heaping of butterscotch chips to give the saltiness a little pop of sweet. This are great anytime of day. Happy baking! Salty potato chip cookies! 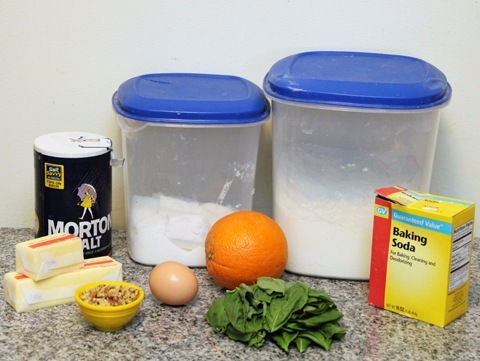 Though, I just made orange cardamom scones, and I can’t wait to use that combination in cookies! 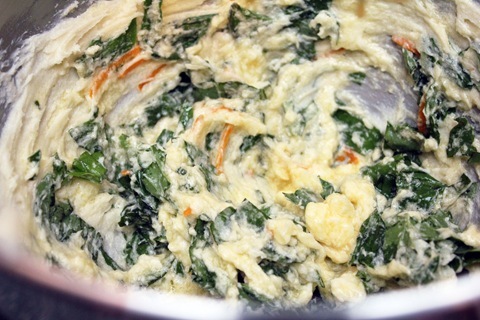 Love the idea of sweet and savory basil, great recipe! Potato chip cookies! Great giveaway, thanks! Not too unique, but we made s’more cookies that were delicious! Growing up I thought macaroons were either plain coconut or chocolate. But then this year I found the most delicious recipe coconut, dried cherry, dried cranberry, pecan, CINNAMON (!!!) macaroon. Twittah follow already in effect! I made cookies using curry powder once. But your basil cookies sound a whole lot better. The most interesting cookies I have ever made have to be Peanut Butter cookies with Bacon and chocolate chips. Yum! that i’ve made? probably rosemary shortbread — such a good sweet/savory combo! my favorite bakery makes an oatmeal fig and fennel cookie that is tdf! 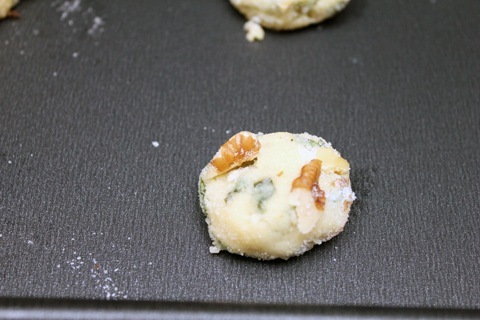 I think the craziest cookies I have ever made were with dried apricots and thyme…really good! Strawberry shortcake cookies, though sadly the batter was yummier than the baked version. Looking forward to trying these soon! These sound amazing – can’t wait to try. I don’t have lemon basil growing in my herb garden, so I may substitute 1/2 orange zest w/lemon zest. Thanks for sharing! White Chocolate, amaretto & cranberry cookies. Not very outrageous or strange but wow were they yummy! I thought bacon was weird too (meat in cookies!) but according to these comments it is not. Huh! Basil sounds like such a good idea. It’s weird we don’t see this more! I made Bacon-Peanut Butter cookies from endless simmer – they had mixed reviews, but I don’t eat meat so I can’t really comment! They were for my co-worker who practically worships bacon. My husband and I like to make cookies. One that we have made is a Mexican Hot Chocolate chip cookie. 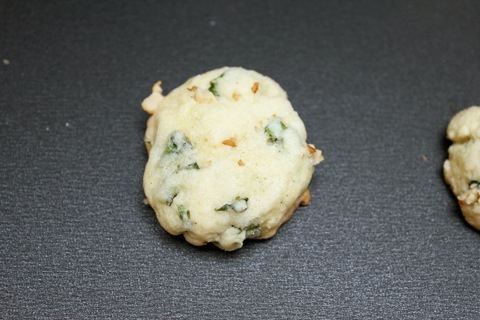 The most interesting cookie I’ve tasted is Mint Chocolate Chip (with fresh mint)! Love Black Pepper Chocolate Cookies! oh what a great giveaway! i haven’t actually made all that many cookies, it’s been on my list this year to give more a try but i’d say the weirdest was just adding salt. i had never thought of that until lately to top the cookies with salt, so delicious! these sound great! I am going to try them! my favorite unique cookies are your strawberry shortcake cookies…I’d never heard of anything like that before, and rarely put fruit in cookies at all. I just love these cookies, and they are now my go-to for summer cookies! I follow you, of course, and am tweeting this now too! These cookies look so interesting! The most unique cookies I’ve made are carrot cookies. Monster cookies! Those suckers have everything in them! i made tahini cookies once, which was interesting, but kind of like a version of peanut butter cookies. i love basil, so i’m definitely considering these cookies! Peanut butter banana oatmeal cookies were fun to bake. I love making smores cookies, that is as crazy as I get and I got the recipe from you all:)! I dont know that I have had any “unique” cookies. 🙁 I am pretty conservative when it comes to sweets, maybe this will help me step out of the box! I guess I haven’t made/tried a lot of super unique cookies, but I have made cookies with potato chips and pretzels – those were pretty unique! I have never really made any unique cookies. that is sad. 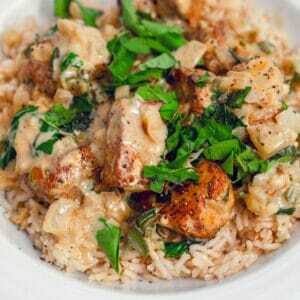 Can I win the pans and make this recipe?! These cookies sound pretty interesting! I wouldn’t have thought to add basil to a sweet, but I’d try it once. My most unique cookie is a Mexican “celebration” cookie called biscocho. It has a ton of shortening, sugar, freshly ground cinnamon and aniseed, and sweet grape. wine. We make them every year for Christmas. I will definitely try this, I was promised large loads of basil from my friend in the “country”. I am a big biscotti fan, and the basil recipe has loads of nuts, so I am very optimistic. The the most unique cookies I’ve ever had was Cheese and Bacon Cookies /Crackers. Oh gosh, I can’t remember what all went into these cookies, and I’ve since lost the recipe… but there were definitely oats, dark chocolate, dried cherries, and orange juice involved! BTW, I follow you on Twitter, too! I absolutely love white chocolate…but hate macademia nuts. A bakery near my college had the BEST white chocolate (no nuts) cinnamon cookies! Not super crazy but so delicious and I haven’t seen them anywhere else. 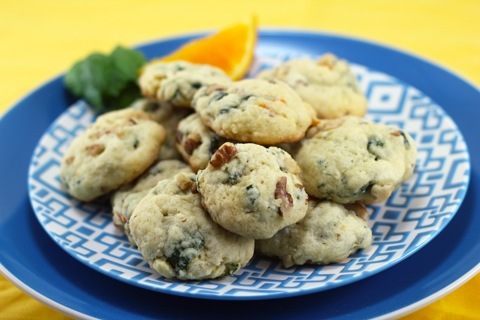 Scrumptious looking cookies with basil! pfeffernusse cookies (a christmas cookie with german/scandinavian origins, they have lots of black pepper in them) are my most adventurous cookies that i’ve actually made. 🙂 these look great! I have to admit, so far I’ve stuck to pretty basic cookies. 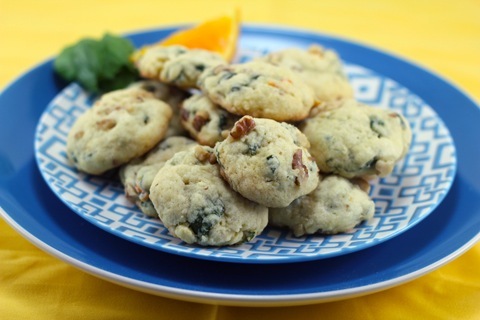 So I’ll just share one of my favorites – they are called Goddess Cookies (I’ve seen similar recipes and there are many names for them)… they have oatmeal, chocolate chips, coconut and nuts – very yummy!! Cherry Chip Cornflake Cookies. Delicious!! I made a snickerdoodle and added chocolate chips to them.